The longest shutter speed available on most cameras is 30 seconds. But sometimes that’s not enough – there are times when you need a longer shutter speed. That’s where Bulb Mode comes in. I made this photo with a shutter speed of 340 seconds. The long exposure has blurred the water until it is smooth, almost textureless. If you use a shutter speed of 30 seconds, in most cases it isn’t long enough to achieve this effect. 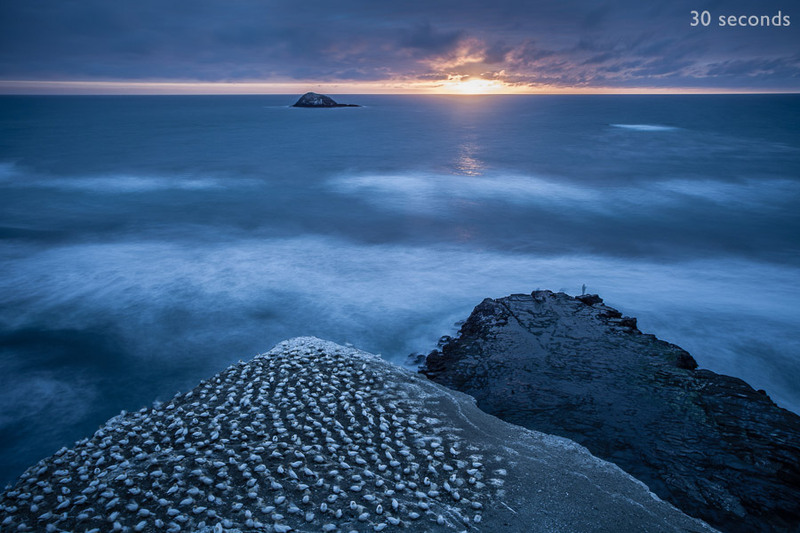 Compare the texture of the sea in the photo below, made with a shutter speed of 30 seconds, to the one above. There’s a big difference, and it’s all down to shutter speed. If you want texture, then use a shutter speed of 30 seconds or shorter. But if you want the silky effect of the first photo, then unless the sea is still you need to use a shutter speed of at least one minute. 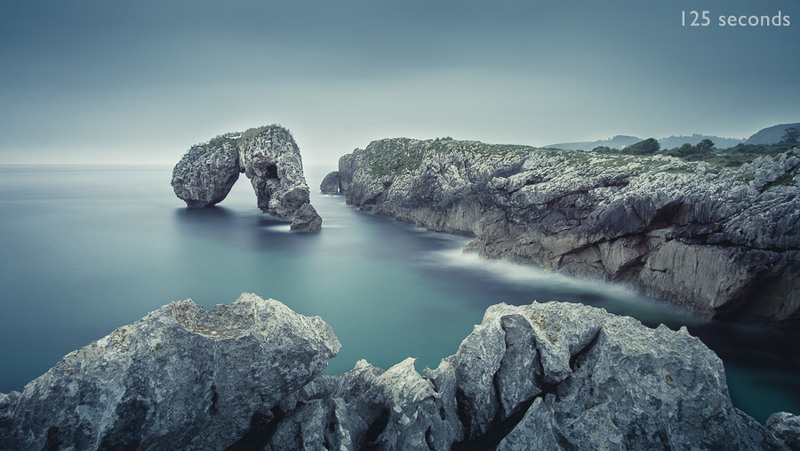 This style of landscape photography is also known as long exposure photography. 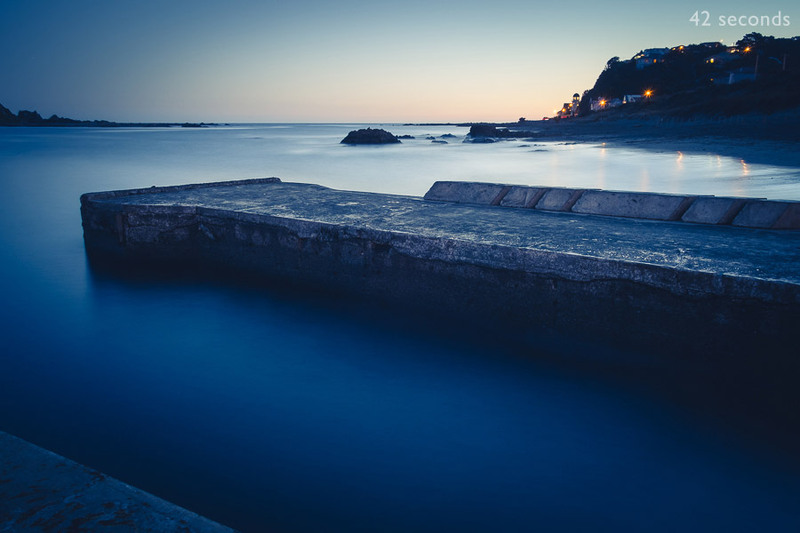 Learn more: What Is Long Exposure Photography? 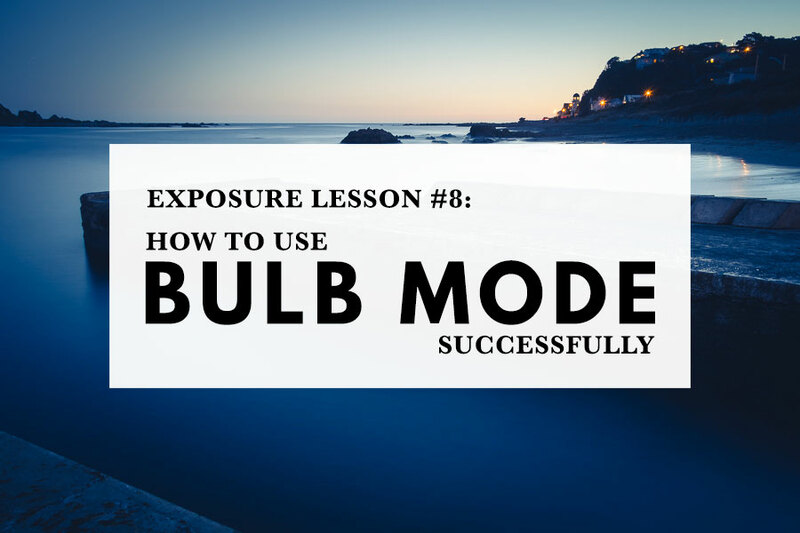 In Bulb Mode the camera opens the shutter when you press the shutter button and keeps it open until you release it. It’s normally used when shutter speeds of longer than 30 seconds are required to make a well exposed photo. Most photographers use a cable release in Bulb Mode to avoid problems with camera shake caused by touching the camera (get one with a lock on it so you don’t have to hold the button down throughout the exposure). On some cameras Bulb Mode is represented by a B on the Mode Dial. On others, it’s activated via the shutter speed menu (it’s usually next to the 30 seconds setting). The camera keeps count of how many seconds have elapsed. The figure is usually displayed somewhere on the camera. On some models this is hard to see in the near dark, so photographers use watches or smartphone apps to time their exposures instead. For successful long exposure photography you need a good quality aluminum or carbon fibre tripod and a ball and socket head. I use a MeFoto RoadTrip Tripod that provides good support for my Fujifilm X-T1 camera. If you have a heavier camera you’ll need something sturdier. An L bracket can also help keep your camera steady during long exposures. It’s a good idea not to extend the centre column when you’re shooting long exposures, as it makes the camera less stable. Bear this in mind if you need to buy a tripod and make sure you buy one that’s tall enough to use without the column extended. It’s best to work in still conditions so that the wind doesn’t disturb the camera. If there’s a breeze you can stand between the wind and the camera to minimize disturbance. The other accessory you need for long exposure photography is a neutral density (ND) filter. Even at ISO 100 and f16 (avoid f22 because diffraction makes the image softer) the light needs to be very low to obtain shutter speeds of one minute or longer. This restricts you to shooting in the late evening or early morning before sunrise. Neutral density filters block light reaching the camera’s sensor so you can use longer shutter speeds. The amount of light they block is measured in stops. You can buy neutral density filters that block anything from two to sixteen stops of light. You’ll probably find something like a set of three neutral density filters (for example 3, 6 and 10 stop filters) useful as you can use the one most appropriate for the ambient light levels and combine them if you need to. As neutral density filters block light they also make the viewfinder go darker. 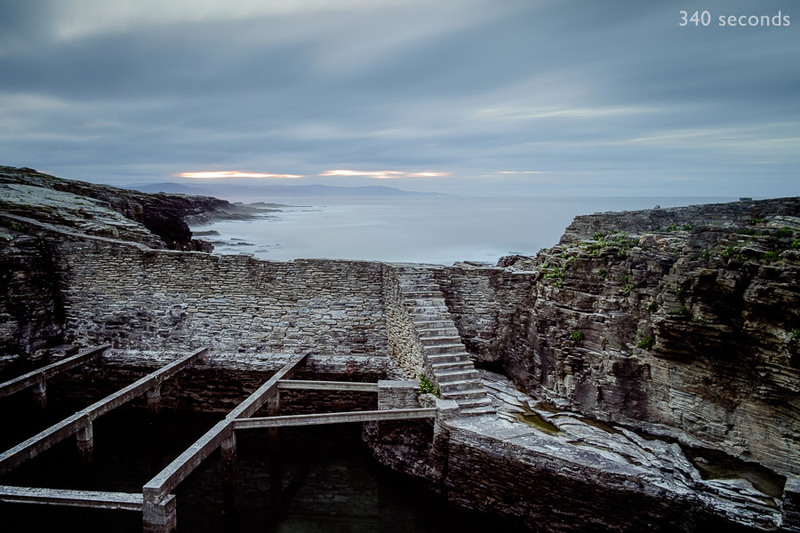 If you’re working in low light to start with this usually means that you can’t see enough of the scene in the viewfinder to compose the photo well. Mirrorless cameras (at least the ones with good quality electronic viewfinders) are usually better than digital SLRs in this respect because the camera amplifies the feed to brighten the viewfinder display. One way get around this problem is to compose the photo, then attach the neutral density filter afterwards. An alternative method is to use Live View (most digital cameras have it now). The Live View feed, just like an electronic viewfinder, brightens the image to compensate for the neutral density filter. This works until ambient light levels drop to the point where the camera can no longer adequately brighten the image. In this case you’re back to the technique of removing the filter to compose the photo. In low light, or with a neutral density filter fitted, an easy way to calculate exposure is to raise the ISO to a high setting like 6400 or 12800, select Aperture Priority, set the aperture you want to use (f16 is a good start) and then take a photo. Check the histogram (remember to expose to the right) and adjust settings if required. You can then calculate the exposure required at a low ISO. For example: If the optimum exposure is obtained with a shutter speed of 2 seconds at f16 and ISO 6400, then reducing the ISO to 100 (a reduction of six stops) means that you’ll need a shutter speed of 128 seconds. Remember that if you’re shooting in the evening, you need to adjust the exposure as you go along to compensate for the drop in light. You might calculate the required exposure as two minutes, but find in reality you need three or four minutes as it’s actually getting darker during the exposure. Instinct and experience are the best guides as to when you need to keep the shutter open longer than you initially thought to get a good exposure. There are smartphone apps that help you make these exposure calculations. One of my favorites is PhotoPills (iOS and Android), another is LE Calculator (iOS). 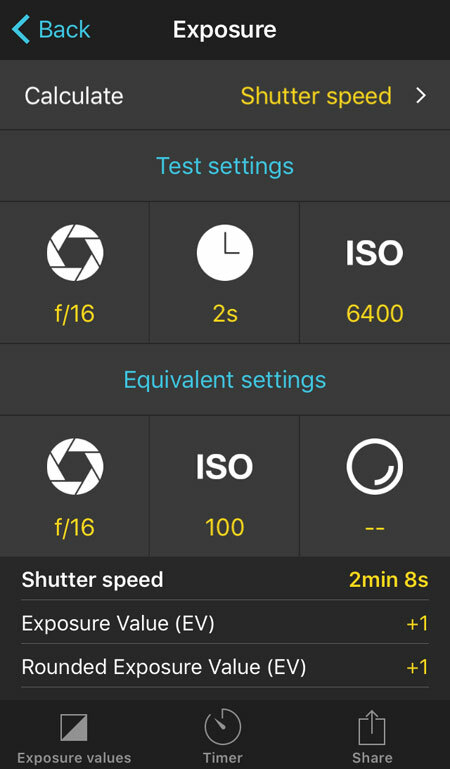 This is a screenshot of the exposure calculator in PhotoPills. The best way to shoot long exposures is to use the Raw format. This allows you to expose to the right and obtain maximum detail in both highlights and shadows. Most digital cameras have a long exposure noise reduction option somewhere in the menu system. It depends on which camera you have, but usually you don’t need to activate it until your exposures are at least seven or eight minutes long. 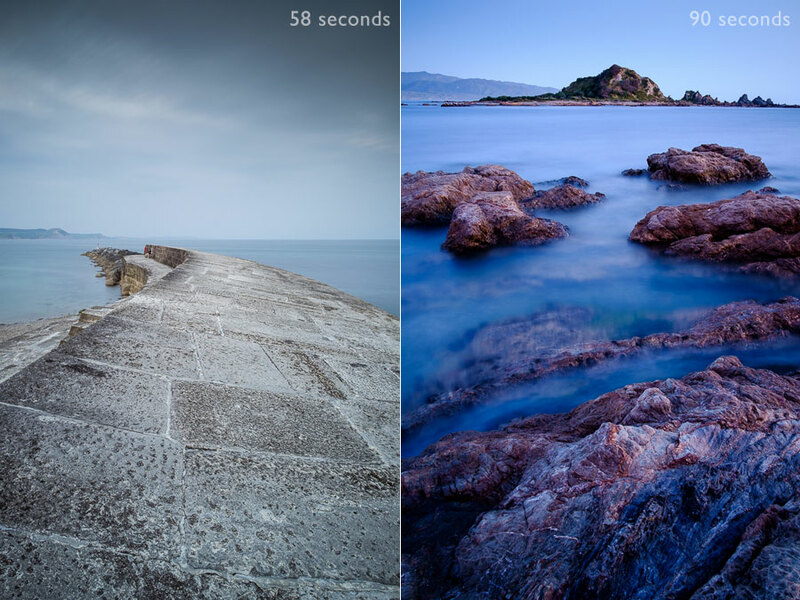 If you’re making long exposure landscape photos, then your exposures probably won’t be longer than five or six minutes. Longer exposures than this are more common in astrophotography. If you shoot photos of landscapes at night using these ultra long shutter speeds then using long exposure noise reduction is essential. The main disadvantage of using long exposure noise reduction is that the camera takes two consecutive exposures. The first is the photo, the second is a what’s called a dark frame exposure – a photo taken with the shutter closed so that the only thing recorded in the frame is fixed pattern noise. The camera then subtracts the noise generated in the second image from the first image to eliminate noise caused by the long exposure. As the second exposure is the same length as the first it doubles the time required to take a photo. You lose valuable time that would be better spend creating images while the light is beautiful. 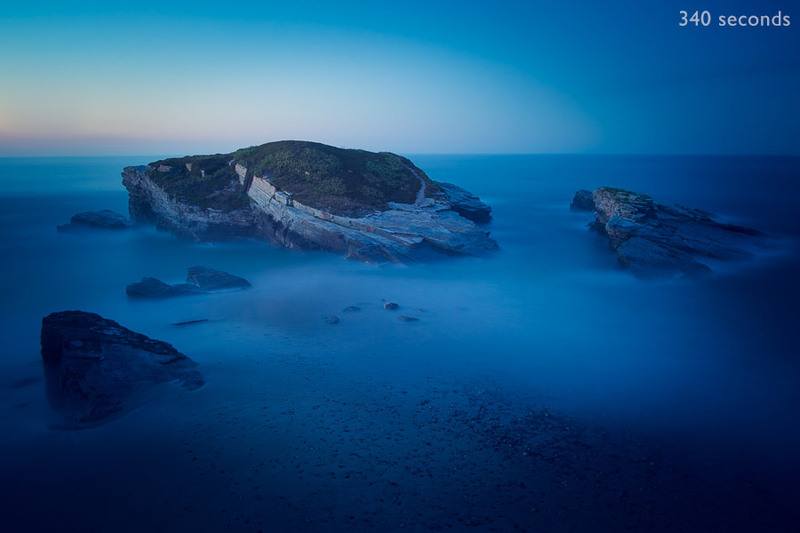 What Is Long Exposure Photography? Have you ever wondered why your digital camera has so many exposure modes, and what each one does? Or why it’s so easy to under- or overexpose your photos even with the latest cameras and most advanced evaluative or matrix metering modes? 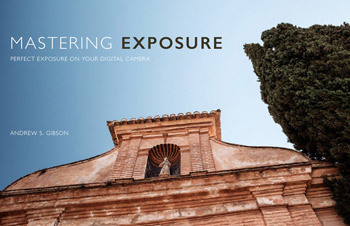 Our best-selling ebook Mastering Exposure teaches you how to get the best exposure every time, no matter how tricky the light. Thank you for this generous and clear presentation….Amazing!!!!! You are a Master and A Mentor. I wish I could attend a workshop or go on Fieldtrip with an Instructor like you but we don’t live in the same country. I might get your book if I haven’t bought it yet. Need to check. Again thank you and keep shooting and teaching for our pleasure. Thanks Guillemin, glad it was helpful!